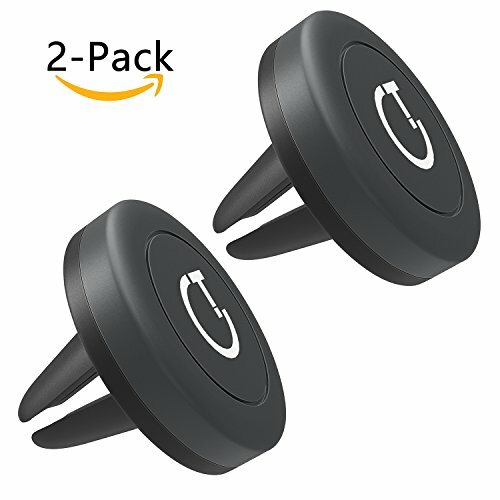 View cart “Magnetic Car Phone Holder,Gritin Air Vent Magnetic Car Mount Phone Holder Stand Cradle [2-Pack] for iPhone X / 8 / 8 Plus, iPhone 7 / 7 Plus / 6s / Samsung Galaxy S8 / S7 / S6 and more” has been added to your cart. 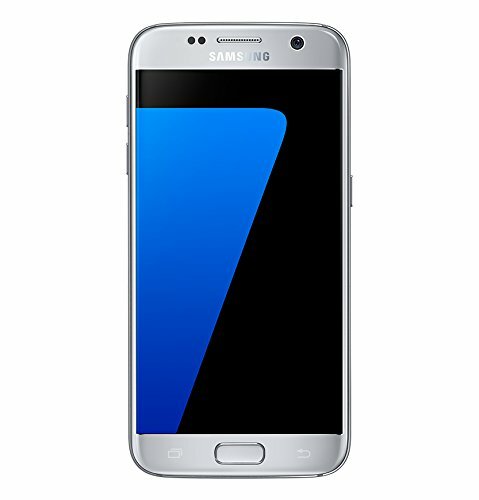 Top Phones, Best Contracts and The Greatest Deals! 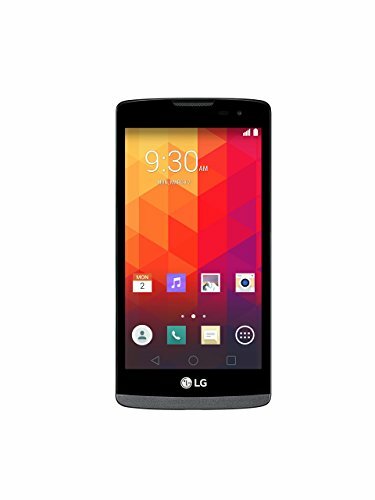 We we have great deals and offers on all mobile phones. With the widest choice of networks and handsets, there is a device for everyone. 【 SOUND BEYOND SIZE:】 This portable speaker delivers two 10W drivers and one passive radiator which provide full-spectrum audio with incredible bass effect and clarity at any listening level. Enjoy LIVE music anytime, anywhere you go! 【 30HRS PLAY TIME on Mid/Low Volume Mode:】 The rechargeable 4400 mAh lithium-ion battery delivers up to 30 hours of playtime on the Mid/Low Volume Mode, and charges with most USB power sources. 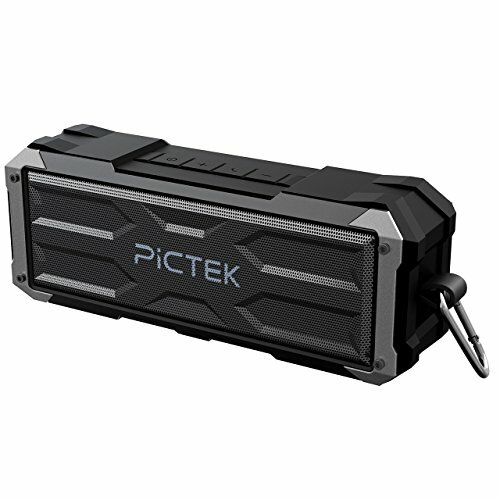 Be prepared to be impressed by the power of this Pictek speaker! Powerful and Stable Magnetic Force: – Built-in 4 nickel plated magnets provide significant and circulated magnetic field, securely and stably holds your phone in place when you are driving,no chance of dropping off. Convenient to Use: – One hand dock and remove your device easily, for a safer driving experience.circular and rectangular metal discs can be placed between your case and phone or can be directly adhered to the back of your phone. 360 Rotation and Precision Viewing: – Highly-flexible 360 Rotation helps set the perfect, personalized position and keep your eyes on the road instead of fumbling around with your phone. 100% SAFE: Hard quality EVA material is Semi-waterproof, Shockproof and Durable to protect your Speaker from impacts and splashes. 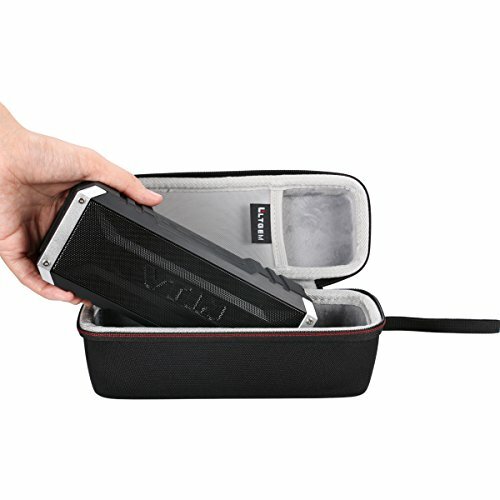 TRAVEL PARTNER: This hard case for Speaker is lightweight and compact to fit in your backpack, carry-on or luggage for improved traveling protection. 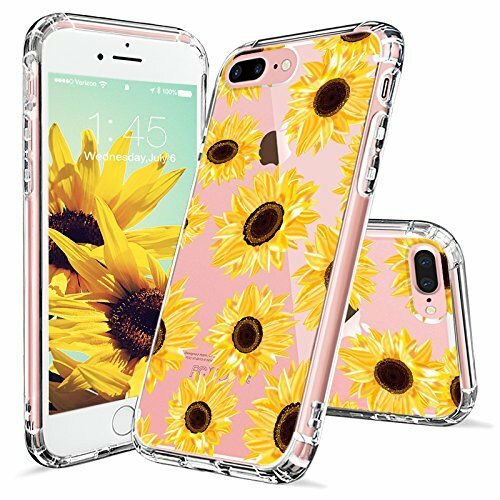 [Compatible with Apple iPhone 7 Plus / iPhone 8 Plus] PREMIUM PROTECTION – featuring two layers of protection: a shock-absorbing [TPU] frame that protects against drops, and a solid [PC] back plate that protects against scrapes, bumps and more. ULTRA-CLEAR – slim, transparent protective bumper case body reveals and enhances the original color of the iPhone 7 Plus 2016 / iPhone 8 Plus 2017. Universal Compatibility – Support most Android Tablets, Cell Phones, and Windows Phone which with Micro USB port. Compatible with Samsung Note 3/4/5, Galaxy S3/S4/S6/S7/S6 Edge/S7 Edge, HTC, Motorola, Nexus, Nokia, LG, HP, Sony, Blackberry, MP3 and other Micro USB compatible devices. Superb Durability – The stainless steel connector heads slot in easily and steadily, and won’t get loose or fall out from your devices as your normal micro cables. 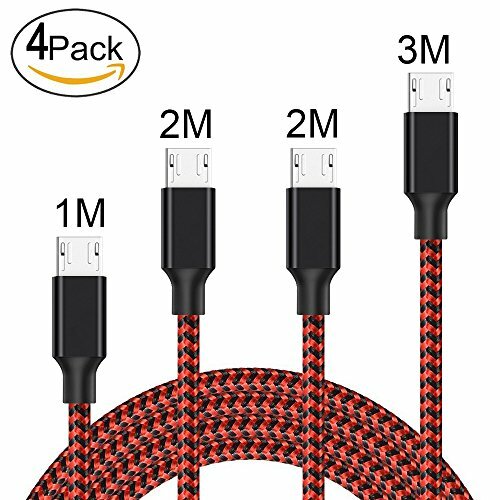 Nylon braided cord is tangle free and robust promises you a perfect experience in charge your devices. Fast Charge & Sync- Ensure a maximum charge speed up to 2.4A, charge faster than most standard cables and work better for tablets and quick charge devices. Great performance ensures your devices syncs and charge simultaneously with up to 480Mb/s transferring speed. 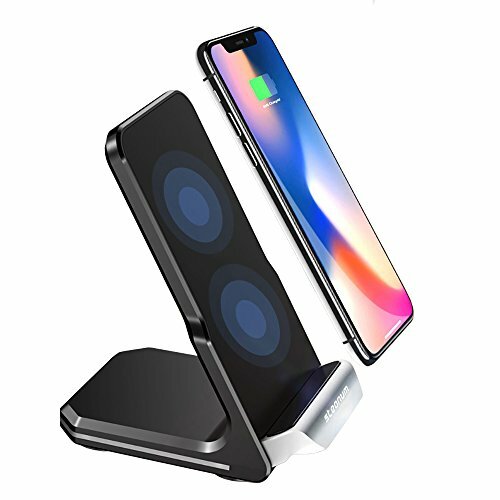 [2 Charging Method]: Fast wireless Charging (1.4 times faster than standard wireless charger pad) for Samsung Galaxy S9, S9 Plus, S8, S8 Plus, S7, S7 Edge, Galaxy S6 Edge+, Note 8, Note 7,Note 5 ; STANDARD CHARGING for iPhone 8/8 Plus, iPhone X. Some other devices may require an additional wireless charging receiver. [Dual Coils & Anti-slip Design]: Built-in 2 coils to make sure higher efficiency, charging area and allow you to charge your mobile in either portrait or landscape position, more convenient. Anti-slip rubber pad on bottom can keep your phone securely in place and preventing the charger itself from slipping or being knocked out. [Sleeping & Using Friendly]: NO tangled up wires. NO beeping sounds. NO annoying lights. Sleep safe and sound from now on. Plug and play, easy and convenient. 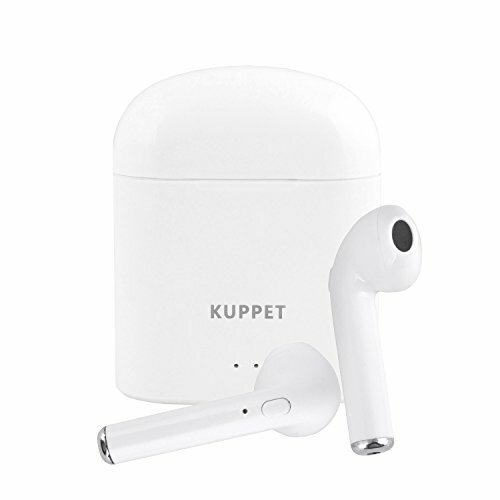 KUPPET STRONG COMPATIBLE BLUETOOTH EARBUDS:Compatible with most Bluetooth enabled devices, such as Apple iPhone X 8 8plus 7 7plus 6S 6 6S Plus 6Plus SE 5S iPad iPod Nano 7 iPod Touch and Samsung Galaxy S7 S8 S8 Plus Android Phones and other Bluetooth enabled devices.You are able to enjoy the music or video with one device, but never missing any important calls from your phone. After first paired,It just takes a few seconds to pair and practical in your daily life! KUPPET QUICK CHARGE WITH UNIQUE CHARGING BOX:Portable charging case is ultra-lightweight with large capacity Lithium batteries, which can support 2-4 time fully charging for the wireless earbuds and let you enjoy more than 2-3 hours continuous music or talking time after each single charge. Only takes 1.5 hours to fully charged. Never worry about low battery when you are out all day. Easy to carry, NO Loss. KUPPET SHARING & ENJOYMENT:One ear or both. One person or two. Use them separately or share with friends so no one misses out on true wireless sound and enjoy together.BUILT-IN SENSITIVE MICROPHONE: The sound is crystal clear with built-in sensitive microphone for in-car calling, stealth listening, or watching videos at work or in the office. 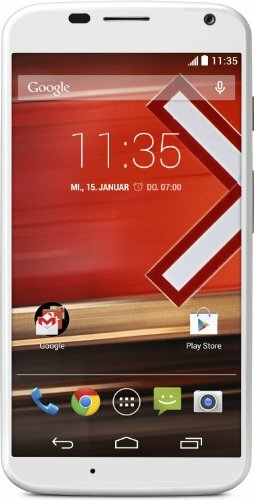 Easily switched between voice call and music. 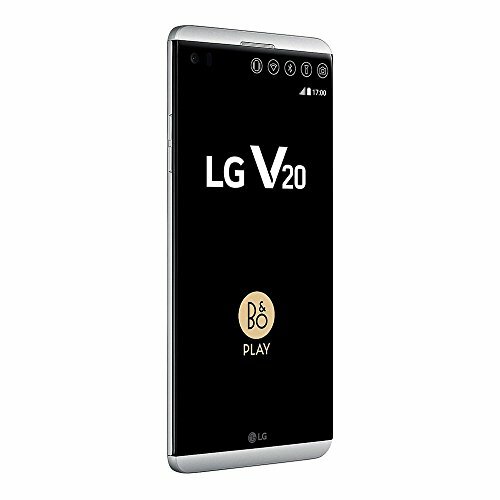 Official Factory Unlocked V20, fully compatible with all the UK Networks – 1 year Seller warranty. Clearly Capture Life in Motion – Dual Camera 16 MP Standard-Angle Lens & 8 MP Wide-Angle Lens, Steady Record 2.0 analyzes each frame to provide smoother playback of your video recordings. Record smoother, clearer videos-even when you’re on the move. STRONG SIGNAL:Thanks to Bluetooth V4.2 Wireless Technology, it syncs with all Bluetooth enabled devices up to 10 meters away. 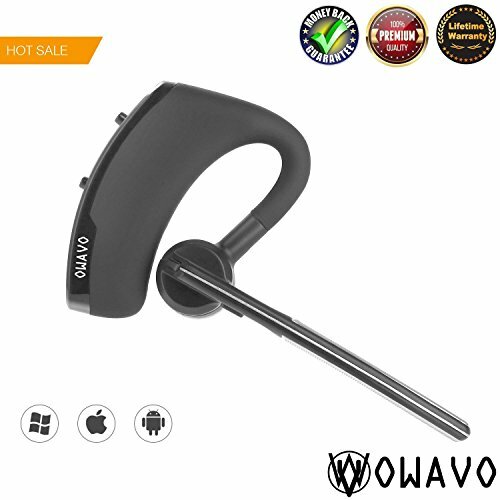 With its built-in mic and high quality audio system, it brings you crystal clear sound effect.Compatible with most Bluetooth enabled devices, including the full range of android smart phones,Apple iPhones.ensure Hi-Fi stereo music sound and maximum signal quality, enable you enjoy the music and answer when driving, working, doing sports and even in noisy environment. Wonderful Design:Extremely lightweight design, it is the small and comfortable size,you won’t be painful to your ears after a long-time wearing comparing with other bluetooth earbuds sold in amazon.Fashion designed in ear, transfer extreme stereo sound to your ears. Ergonomic in-ear designed with solid sound-insulating material, reduces external noise while minimizing the sound leakage, giving you stunning sound.It fits and stays in ear perfectly . BUSINESS BLUETOOTH HEADSET: A Bluetooth earpiece designed for business people. It haves VOICE PROMPT FUNCTION and MULTI-FUNCTION KEY. One press to answer or end the phone to allow you enjoying safe driving during the conversation; Bluetooth headset built-in 180mA lithium-ion battery, which provides up to 300 hours for standby and up to 6-8 hours for talking. Only takes 1 hour to fast charge fully, it will be your best job partner.